Boating laws in Texas are focused on promoting safety, preventing accidents and saving lives. While these regulations set forth various requirements for boat operators, they also pertain to vessels and the mandatory safety equipment for them. They can put themselves, their passengers and others on the waterways at a greater risk of accident, injury and death. They can be liable for any wrecks or harm resulting from their noncompliance and negligence. 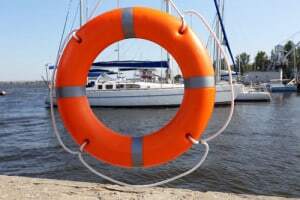 At the Amaro Law Firm, our lawyers have extensive experience helping the victims of boating accidents pursue the financial recoveries they deserve. Diligent, skilled and tenacious, our attorneys can help you hold all negligent parties accountable for your boating accident. The Amaro Law offers free virtual and mobile consultations to provide helpful legal advice and essential answers to those with potential boat accident claims. During your consultation, you can get priceless information regarding your rights and how to proceed with a claim. Boater education – Anyone born on or after September 1, 1993 is required to complete a Boater Education course in order to legally operate a personal watercraft (PWC) or a boat with a horsepower (hp) rating of at least 15 hp. Here is more information about Boater Education courses in Texas. Please note that you do not have to be a resident of Texas in order to take the Texas Boater Education course. Within 30 days if the accident caused more than $2,000 in property damage or injuries needing medical treatment more extensive than first aid. Life-saving equipment – Personal flotation devices (PFDs) must be lifejackets that are approved by the U.S. Coast Guard (USCG). Children who are 12 or younger must wear a PFD when they are on a vessel that is “underway” (e.g., not anchored or aground). Also, inflatable PFDs are not acceptable for PWC or high-speed activities on waterways. Lights – All vessels operating on Texas waterways are required to have at least one bright light, such as a lantern, a flashlight or some type of fixed light. Vessels between 12 and 20 meters long must also have special navigation lights fixed at the front of the watercraft. Sound-producing devices – While motorboats that are less than 12 meters long must carry a whistle or horn, those longer than 12 meters must have a whistle or horn and a bell. The intent is to allow boat operators to effectively produce noise in low- or poor-visibility conditions. Other equipment – Depending on the nature of a motorboat, other safety equipment that may be required by Texas law can include mirrors, fire extinguishers and water exhaust manifolds. To monitor compliance with Texas boating regulations, marine enforcement officers and TPWD game wardens regularly patrol waterways and inspect vessels. A Houston boat accident lawyer at the Amaro Law Firm is ready to review your potential claim and explain your rights and options. As experienced advocates for the injured, our attorneys have the skills, insight and resources you can rely on for exceptional representation and the highest quality legal service. Our goal is to help you successfully navigate the recovery process so you can focus on healing and restoring your life in the aftermath of a boating accident.